Will Smith puts on the gloves and steps between the ropes as Ali, arguably the most fascinating personality in sports history in this biopic from Academy Award® nominated director Michael Mann. 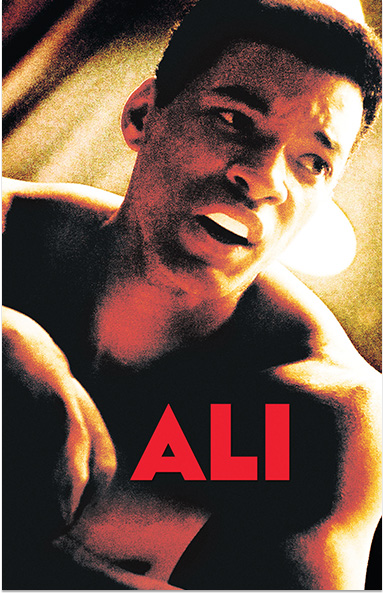 ALI © 2001 Columbia Pictures Industries, Inc. All rights reserved. Academy Awards® is a registered trademark of the Academy of Motion Picture Arts and Sciences.